It’s hard to describe countries without making sweeping statements or delving into clichés, so I won’t even attempt to describe Peru, other than to state some (hopefully obvious to everyone) facts: It’s in South America, its official language is Spanish, and it’s beautiful from its landmarks to its people. 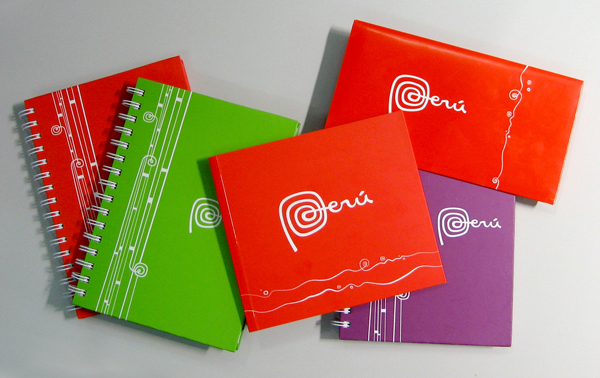 Last week saw the culmination of a process that started in 2009 led by PromPeru (Peru Exports and Tourism Promotion Comission) with the unveiling of Peru’s country brand, designed by the Buenos Aires office of Futurebrand. It is amazingly refreshing to see a logo that does not rely on a sans serif and an isolated icon — nothing wrong with that model, but we’ve seen so much of it lately that it’s easy to forget there are other ways of doing things. 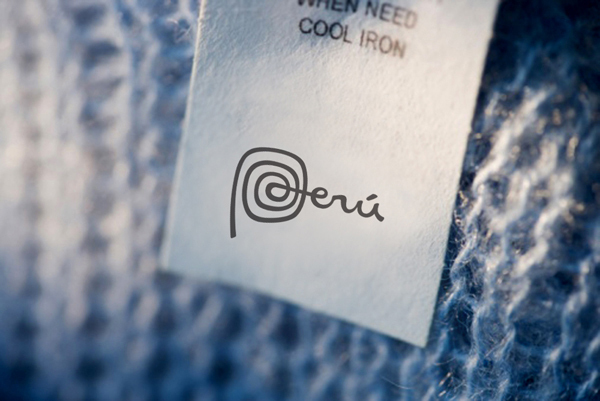 The spiral shape immediately conjures up associations with a visual culture full of joyful, complex patterns that are evident everywhere from ancient sites to the way the Incan people dress. It’s playful, lively, memorable and unique. It flows perfectly into the script handwriting which feels effortless and organic. I don’t think it’s the most beautiful logo per se, but it is beautifully appropriate. 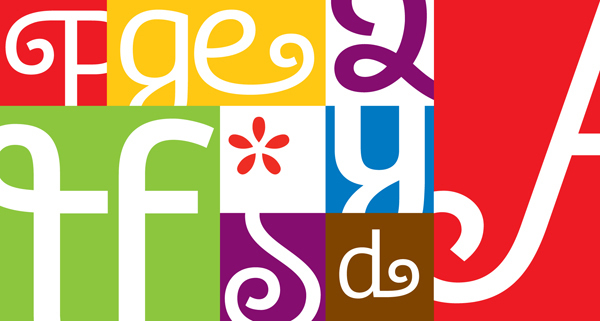 Type foundry TypeTogether has adapted its popular Bree typeface to the Peru brand, but I’m not convinced that adding swashes to the original is the best solution. 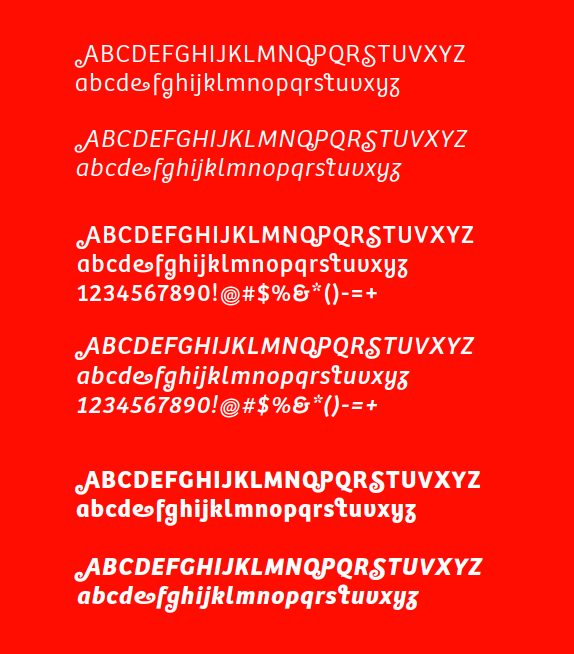 I like the idea of a contemporary, script-ish sans serif, but something doesn’t quite gel together with the icon. 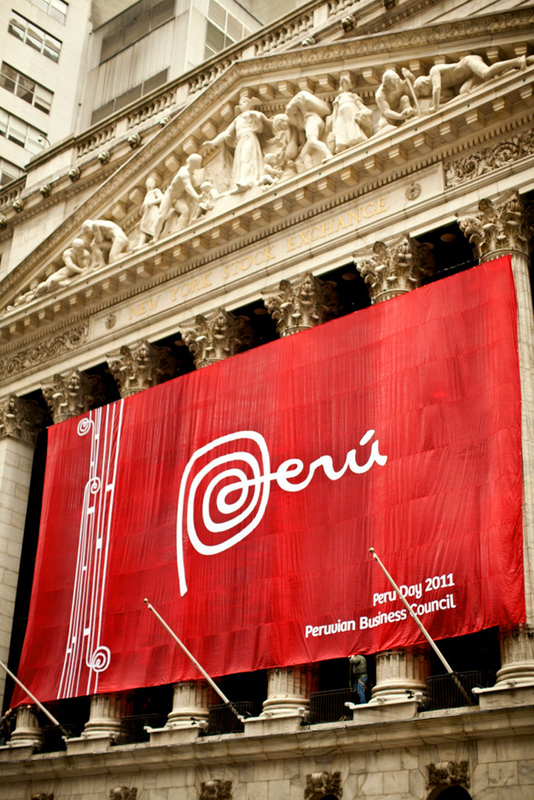 Facade of the New York Stock Exchange on Peru Day, March 11. 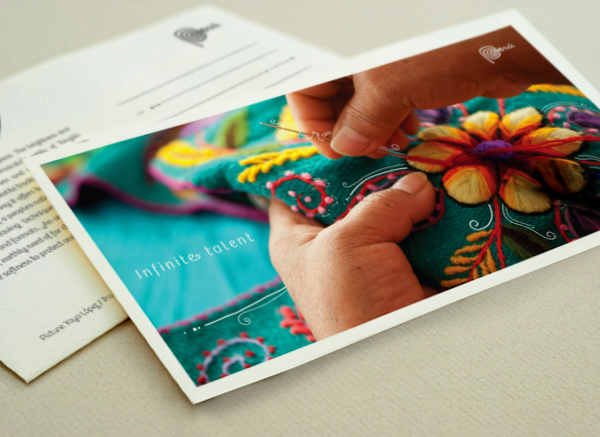 The identity system is completed with the use of squiggly lines that follow along the contours of key elements in photographs, which adds a nice texture to the overall look and turns the photographs into more than just stock imagery, which is an easy trap to fall into with destination brands. This is a great identity system and it’s nice to sense an actual relationship between the brand and the country. It's hard to describe countries without making sweeping statements or delving into clichés, so I won't even attempt to describe Peru, other than to state some (hopefully obvious to everyone) facts: It's in South America, its official language is Spanish, and it's beautiful from its landmarks to its people. 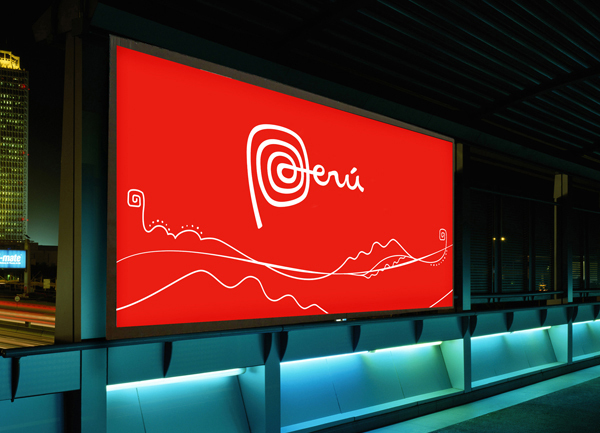 Last week saw the culmination of a process that started in 2009 led by PromPeru (Peru Exports and Tourism Promotion Comission) with the unveiling of Peru's country brand, designed by the Buenos Aires office of Futurebrand.